MicroVentures gives start-ups and existing small businesses access to early-stage capital investment, creating peer-to-peer investing in the venture capital space for a unique synergistic equity structure. Based in Austin, TX, the firm provides exclusive opportunities for investors, facilitating access to well-vetted entrepreneurs (and their concepts) who are in need of capital funding. 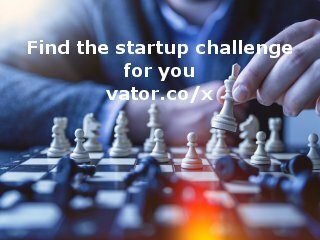 This matchmaking process is facilitated online through MicroVenture’s website, connecting investors with businesses looking for capital. MicroVentures evaluates prospective early stage companies based on defined criteria of suitable risk, likelihood of profitability, and other key due diligence factors, and then matches them with investors for a unique venture capital hybrid based on peer-to-peer lending. This innovative, one-of-a-kind model connects entrepreneurial concepts with individual investors, allowing participation in the funding of startup opportunities typically not readily available outside the traditional venture capital model. Investments initially total $50,000 to $250,000 per deal; individual investors can invest from $250 to $5,000. Microventures funds a wide range of industries, including technology, consumer products and services, healthcare, media and entertainment, and telecommunications. Microventures was featured in a VatorNews article: "What early-stage VCs look for in startups"
Microventures was featured in a VatorNews article: "Meet Bill Clark, founder and CEO of MicroVentures "